Lindsay Hagamen lives, works, loves, and plays on the high plateau that descends off of Mt. Adams in Klickitat, Washington. 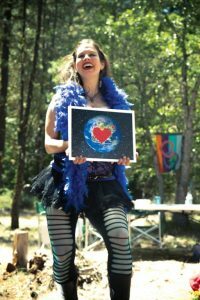 She is a member of the Windward Line Family, believes we need to get back to the fundamentals in order to truly thrive together, and helps people transition toward the ecosexual life in workshops throughout the Pacific Northwest and on myloverearth.org.